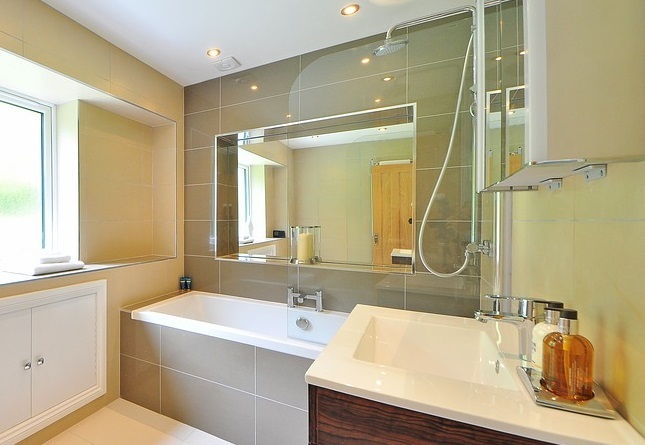 With a small space it’s often difficult to create your ideal bathroom, but with a few creative ideas, you can design a bathroom that is modern, stylish and practical. Knowing how to fit everything together in a small space, choosing the right type of fixtures and using our space saving tips, will give you a bathroom that is inspired, uncluttered and perfect for your needs. A floating vanity is ideal for small spaces, because it is attached to the wall, leaving the space underneath free and giving the bathroom the appearance of being larger. You can install a regular under-mounted sink, a stylish bowl sink on top of the unit or a modern trough sink. These latter sinks are all the rage right now and give a clean, minimalist style to your bathroom, offering a low profile and are a great space saving solution. You could also add some additional storage under the vanity (such as baskets or colourful boxes) or simply leave it clear for easy cleaning. When you are really pushed for space in your small bathroom, finding a spot to hang your towels can be a big problem. So another space saving tip is to attach one or more towel bars to the glass shower door, making the towels easy to grab when showering and not taking up any wall space. 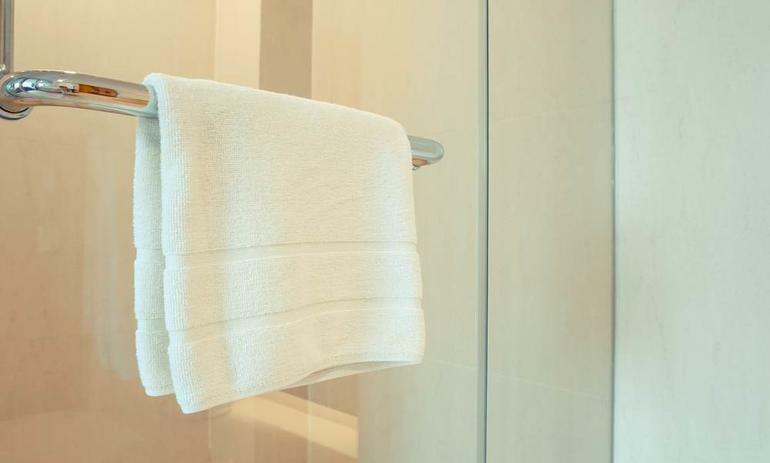 You can keep the main bulk of towels in a linen closet elsewhere, just keep your shower towels in the bathroom. If you need to have both a bath and a shower in your bathroom, but are limited for space then combine the two and attach your shower hose over the bath. 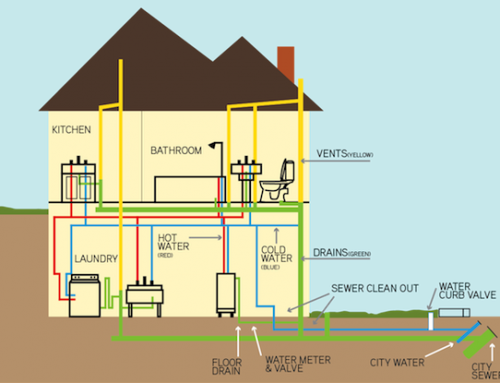 It’s not the best solution, but if this is a guest bathroom, it provides both options and is a practical and workable solution to your problem. 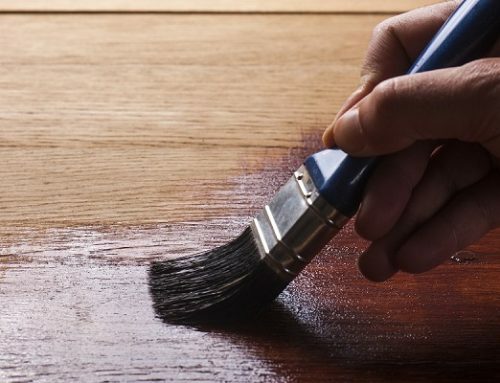 With little space in small bathrooms, any tricks of the trade that help to increase storage space are worth investigating. Extending the counter over the toilet is a really good idea and whilst it only gives you a narrow strip of additional storage space, sometimes that’s all you need to provide a clean, modern look to your bathroom. If you have enough floor space to include a narrow tiered storage option, make sure that it’s as tall as possible. 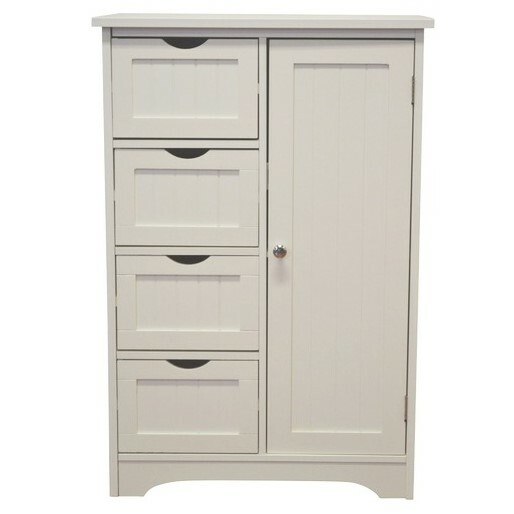 There are plenty of these stylish storage options available on the market from ultra-modern to traditional or vintage. Match these tall tiered designs to your style and make practical use of empty air in your bathroom! There are a plethora of small corner vanity units available that make the best use of your small space. Select one that attaches to the wall for additional floor space; an undermount sink if you have other storage (because this will take up storage space) or a sink that sits on top of the corner vanity if you are maximising storage space. 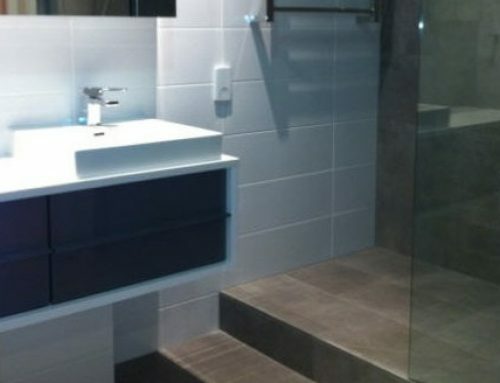 For more help renovating your bathroom, call My Bathroom on 1300 842 736 or send us an enquiry below.